The Herbst® appliance reduces overbite by encouraging the lower jaw forward and the upper molars backward. This fixed appliance is used mostly for younger, growing children and is worn for about 8-10 months. 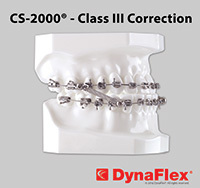 The CS System for superior fixed Class II or Class III correction. In permanent dentition, the springs are most commonly attached to the archwire. In mixed dentition, the springs are attached to any conventional fixed intraoral appliance. The CS System uses an exclusive, patented coil spring that utilizes laser welded eyelets for extremely effective performance and durability. 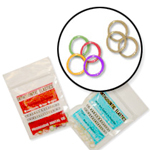 The springs can easily be removed by removing the screw from the housing nut similar to the Herbst® connectors. 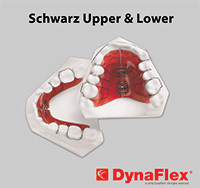 The Schwartz upper and lower appliances are designed to gain lateral arch develpment in the upper and /or lower arches. 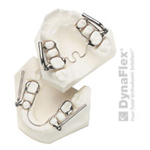 The Twin Block is a two piece, removable, acrylic appliance to advance the retrusive lower jaw and correct overbite. It is usually worn for about 8-10 months. The Carriere Distalizer is an orthodontic device developed to correct a bite without removing permanent teeth when teeth have erupted incorrectly. 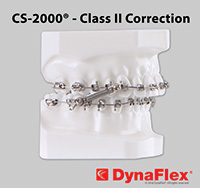 With an effect similar to headgear, but without the use of a bulky appliance, the Carriere Distalizer pushes upper teeth back to create a corrected bite prior to the addition of braces. 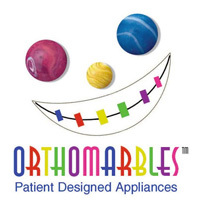 We offer patient-designed retainers through OrthoMarbles--click here to see the different colors and designs you can choose from!